Washington (CNN) – The long-awaited House committee hearing on the Benghazi terror attacks featuring State Department whistle-blowers has started with statements from Rep. Elijah Cummings, of Maryland, the ranking Democrat on the committee, and chairman Rep. Darrell Issa, R-California. 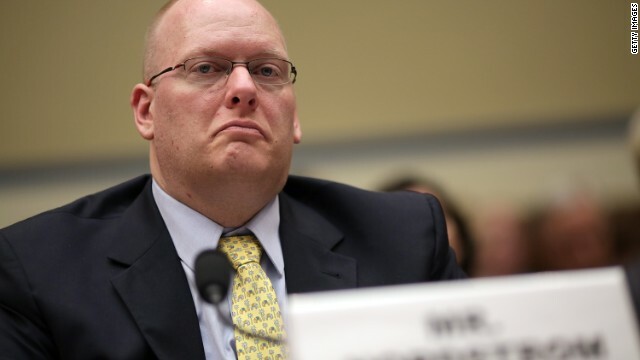 The whistle-blowers, Gregory Hicks, Mark Thompson and Eric Nordstrom, will brief the committee on what happened during the September 11, 2012, terrorist attack that killed four Americans. In the lead-up to the hearing, Republicans have said the State Department officials will tell the truth about what happened during the attack. Democrats say they have been frozen out of the investigation. 5:19 p.m. - After more than five hours, the Benghazi hearing concluded. "The hearing is closed, but the investigation is not over," said Rep. Darrell Issa, the chairman on the House Oversight Committee. 5:15 p.m. - After hours of testimony, the hearing turned to Hillary Clinton, the former secretary of state who is considered a leading Democratic presidential prospect in 2016. Many Democrats have charged the Republicans on the committee with politicizing the Benghazi issue in an attempt to mar Clinton's record. Rep. Trey Gowdy, R-South Carolina, recalled Clinton's heated remarks in a past hearing. 4:20 p.m. – Republican Rep. Mark Meadows of North Carolina: "Earlier you talked about the ARB fixed blame on mid-level, or those career employees, not those at a senior level or the political appointees, is that correct?" Nordstrom: That's correct. Ambassador Pickering asserted that it was made at the assistant secretary level and below. That's at variance with what I've personally seen. Meadows: So you personally believe that the decisions are made at a much higher level. Mr. Hicks, I see you're nodding your head, is that correct? Hicks: Yes, I believe so. Meadows: So the ARB in looking to place blame in those career employees ignored a whole lot of the, what you would say, the decision makers in terms of assigning blame, correct? 4:14 p.m. - Hicks answered a question on why Ambassador Stevens was in Benghazi on September 11, 2012. "At least one of the reasons he was in Benghazi was to further the secretary's wish that that post become a permanent constituent post and also there because we understood the secretary intended to visit Tripoli later in the year," Hicks said. "We hoped that she would be able to announce to the Libyan people our establishment of a permanent constituent post in Benghazi at that time." 4:10 p.m. – Republican Rep. Thomas Massie of Kentucky asked Thompson if he's convinced that the changes have been made so that this won't happen again for another Embassy? Under questioning from Rep Jim Jordan (R-OH) Greg Hicks told the Oversight Committee that the State Department he was instructed not to let his staff speak to a visiting Congressional delegation investigating the Benghazi attack. Hicks said State Department lawyers instructed him not to let the embassy’s Regional Security Officer be personally interviewed by Rep. Jason Chaffetz. This was the first time he was ever instructed not to talk with members of Congress, Hicks said. Hicks told the Oversight Committee a State Department lawyer accompanying the delegation attempted to sit in every meeting the delegation had at the embassy. When the lawyer was excluded from a classified briefing with Congressman Chaffetz because he did not have the appropriate security clearance, Hicks said he received an angry phone call by Cheryl Mills, then-Secretary of State Hillary Clinton’s Chief of Staff. The State Department maintains it at no time prevented employees from speaking with members of Congress and encouraged staff to cooperate with the independent Accountability Review Board investigating the attacks. Philippe Reines, senior adviser and spokesman for Hillary Clinton, responded to Jordan's questioning in a statement to CNN. Greg Hicks didn't get much in during Congressman Jordan's – I guess I'll call it rant given his decibel level – but his accusation was entirely out of line and not based on what little Greg said. Jordan clearly went in there intent on yelling "cover up" and he was going to yell it no matter what he heard. He could've asked Hicks about his favorite color and Jordan would have blurted out "cover up" in response. So I'll address his accusation – which is completely & utterly false – by telling you what I remember about that day. To take a step back, from the moment we learned of the attack in Benghazi, Cheryl Mills did everything she could, round the clock for months on end, right up until our very last day in February, to support our personnel in Tripoli, and keep our 70,000 people worldwide as safe as possible. Anyone who worked around or with her will tell you she gave every bit of herself to the Department. You know half the building, you'll hear the same. You could throw a dart in the cafeteria and it would likely hit someone who will tell you how much she added to the Department and meant to them personally. And you know I was attached to her at the hip for most of our last five months at State, and never once did she treat anyone with anything other than respect and complete professionalism. Not even me when I deserved it. In this instance, I was with her and I remember it vividly because we were hearing from our people in Libya that some at Embassy Tripoli were left unsettled by their interactions with the CODEL – which was made up of only Jeremy Chaffetz because he refused to allow any minority member to join him (or is it Jason Chaffetz?) – and the position they felt they were being put in. Which btw, Jeremy/Jason Chaffetz pledged before his trip he wouldn't do, and that he would completely respect the integrity of the FBI investigation by not interrogating State personnel, who had also just been through hell, were still in a dangerous situation, and lost colleagues and friends – including their ambassador Chris Stevens who they adored. State sent a legal advisor as sop to Tripoli so that any personnel on the ground who wanted their advice or presence for any conversation could avail themselves of that option. For their own protection and comfort. Chaffetz refused to let this person on government plane, and resented his being in Tripoli (after he was forced to fly there on his own). And he decided he didn't want this person around. Which wasn't his choice to make for the individuals on the ground. If those individuals didn't feel a need for it, they didn't have to take it. And nobody was told to keep Chaffetz from speaking with anyone. That's completely at odds with the cooperative approach the Department has taken with the Congress – all eight of the committees looking into this – from day one, until today. So after hearing these disturbing reports from several people on the ground, Cheryl said she wanted to call Greg herself to find out how the CODEL went (also remember that it was soon after the attack and we were worried that a CODEL, which requires a great deal of embassy support, would tax their resources at a very difficult time), and that we were behind and with them 100%. She wanted them to know that no matter how far away they were from home, they weren't alone, that the Department was with them, that she was with them, and most importantly, that the Secretary was with them. I heard Hicks say that nobody senior had ever called him with good news. That's too bad. But he'd never met Cheryl. That's who she is, that's what she does. I remember it so vividly because in the midst of a very trying time, it was exactly what you'd hope a leader would do at a time like that. To take a moment to talk to the people on the ground, doing the work, trying to do that work under difficult circumstances after a terrible event, making sure they're ok. So I'm hoping that if Greg Hicks had been allowed to say more than yes or no and actually elaborated on the conversation, Jordan's accusation would be revealed to be as specious as it is. What I do know though is that Tom Pickering, who led the review and interviewed Greg for their report, said as recently as today in some interview that Hicks expressed nothing like what Jordan is alleging. 2:55 p.m. – Republican Rep. Paul Gosar of Arizona played footage of Hillary Clinton’s Senate testimony, in which she asked what difference it made in determining whether the violence sparked from a protest or came from a planned attack. Gosar then asked Hicks what difference he thought it made. “I think the question is, what difference did it make? President Magariaf was insulted in front of his own people, in front of the world. His credibility was reduced (because of Rice’s comments),” he said. “And I definitely believe that it negatively affected our ability to get the FBI team quickly to Benghazi,” Hicks added. 2:24 p.m. – Asked if he would have said the same things Susan Rice said on the Sunday morning shows, Hicks said no. “Not after hearing what President Magariaf said,” Hick said, referring to the Libyan president, who publicly described the violence as a terror attack shortly after it happened. 2:20 p.m.- Republican Rep. McHenry of North Carolina asked Greg Hicks more questions about Susan Rice’s statements on Sunday morning shows, in which she said the attack originated from a protest. McHenry: Was there a protocol within the consulate in the event of a protest? McHenry: OK. Did you know about that within a couple days or the day of? McHenry: And so did you report to anyone in Washington within the first couple of days that there was anything in connection, a protest in connection with a YouTube video? Hicks: No. The only report our mission made through every channel was that there had been an attack on our consulate. 2:06 p.m. - Multiple members of the committee, including Democrats, vowed to protect the whistle-blowers from any potential threat of punishment from the State Department. "You have my personal pledge that were there ever to be any hint at retaliation or retribution for your willingness to come forth and tell your version of what happened, this member of Congress will intervene on your behalf," said Democratic Rep. Gerry Connolly of Virginia. 1:54 p.m. – As the House Oversight Committee hears testimony on Capitol Hill, a spokesman for President Barack Obama dismissed the Benghazi hearing as a political event, rather than a true attempt at gathering new information. “This is a subject that has, from its beginning, been subject to attempts to politicize it by Republicans when, in fact, what happened in Benghazi was a tragedy,” White House Press Secretary Jay Carney said at Wednesday’s briefing. He asserted Obama has remained committed since the attack in Benghazi to finding those responsible and to preventing any further violence at American diplomatic posts abroad. “This administration has made extraordinary efforts to work with five different congressional committees investigating what happened before, during and after the Benghazi attacks, including over the past eight months, testifying in 10 congressional hearings, holding 20 staff briefings and providing over 25,000 pages of documents,” Carney said. His remarks were echoed by State Department spokesman Patrick Ventrell, who reminded reporters his agency has already conducted a review of what happened in Benghazi. “We've had the accountability review board, we've had their recommendations, all of which we've accepted and are vigorously implementing,” he said. Although, State Department officials acknowledge that Stevens was pushing to make the consulate in Benghazi permanent, Hick’s claim that this was the primary reason for his visit to Benghazi differentiates from the reason the Obama administration said Stevens traveled to Benghazi. 1:10 p.m. – Hicks continues to be the most questioned whistle-blower. Republican Rep. Jason Chaffetz of Utah used his time to ask how military personnel reacted to being told to stand-down after the attack on the Benghazi. “How did the personnel react at being told to stand down,” the Utah Republican asked. Hicks told a similar story to in an interview with congressional investigators before the hearing. Specifically, Greg Hicks wondered why the military did not send a plane into Libyan airspace as a show of force, and why four U.S. Special Operations soldiers were not permitted to travel to Benghazi on a Libyan plane the morning of September 12. Chaffetz has long focused on this issue. Before the hearing the congressman told CNN that "military personnel were ready willing and able, and within proximity, but the Pentagon told them they had no authority and to stand down." The congressman's view is refuted by the Obama administration. Defense Secretary Leon Panetta testified in February that the Defense Department didn't have enough time to get armed military assets to Benghazi to fend off a deadly attack on a U.S. consulate in September. "This was, pure and simple, in the absence, as I said - of any kind of advance warning - a problem of distance and time," Panetta said. In similar testimony Joint Chiefs Chairman Gen. Martin Dempsey said he could not have gotten troops on the ground within 13 to 15 hours. 1:01 p.m. – Democratic Rep. Carolyn Maloney of New York defended former Secretary of State Hillary Clinton. "I find it truly disturbing and very unfortunate that when Americans come under attack the first thing some did in this country was attack Americans, attack the military, attack the president, attack the state department, attack the former senator from the great state of New York and former secretary of state Hillary Clinton, and I would like to ask some questions about these attacks to get at the real facts." 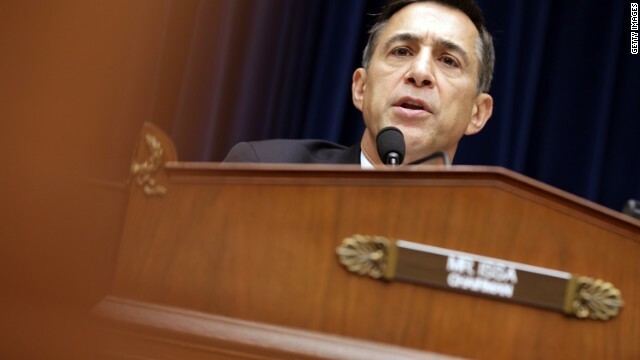 "Last month Chairman Issa went on national television and accused former Secretary of State Hillary Clinton – accused her of lying under oath when she testified before Congress that she did not personally approve of security reductions in Libya. As proof he claimed that she personally signed a cable denying requests for additional security. And he stated and I quote – “the Secretary of State is just wrong. She said she did not participate in this and yet only a few months before the attack she outright denied security and her signature in a cable on April 2012.’ The fact is that the secretary did not sign this cable in 2012." Maloney added that Clinton's name was typed at the bottom of the page, the general procedure for thousands of cables that come out of the State Department each year. The congresswoman read from a State Department manual that state's the secretary's name must appear on all "telegrams to post." 12:57 p.m. – Republican Rep. Trey Gowdy of South Carolina read an excerpt from an email that Beth Jones, the acting Assistant Secretary for Near Eastern Affairs at the State Department, sent and copied Greg Hicks. "Some of these emails even though they are not classified have not been released Mr. Chairman, including the one that I am going to read from," Gowdy said. "So for my colleagues who trumpet bipartisanship this would be a wonderful time to prove it. This is from Ms. Jones to you, to counsel for Hillary Clinton, to Victoria Nuland, to Mr. Kennedy – near as I can tell to almost everyone in the State Department – and I am going to read from it." “I spoke to the Libyan ambassador and emphasized the importance of Libyan leaders continuing to make strong statements," he read aloud, adding that the email was sent on September the 12th, the day after Benghazi and several days after Rice’s television appearance. "When he said his government suspected that former Gadhafi regime elements carried out the attacks I told him that the group that conducted the attacks, Ansar al sharia, is affiliated with Islamic terrorists.’ Let me say that again Mr. Hicks – she told him, the State Department on September 12th, days before our ambassador went on national television, is telling the ambassador to Libya the group that conducted the attacks Ansar al sharia is affiliated with Islamic terrorists." The State Department has maintained that they've been defining the violence as a terrorist attack since September 12. State Department officials were surprised to hear Rice describing it as a spontaneous attack that originated from a demonstration. 12:55 p.m. – U.S. Ambassador to the U.N. Susan Rice was the face of the administration in the days following the attack, and maintained in several media appearances its account of events - that the assault on the compound was the result of a demonstration that turned violent. Later, the administration called the Benghazi attack an act of terrorism. “I was stunned, my jaw dropped and I was embarrassed,” Hicks said. Gowdy also peppered Hicks with questions about what kind of interaction he had with Rice before her appearances on the Sunday shows. “Did she talk to you before she went on the five Sunday talk shows?” Gowdy asked. “You were the highest ranking official in Libya at the time, correct,” Gowdy questioned. “And she did not bother to have a conversation with you before she went on national television,” Gowdy asked. "So, Ambassador Rice directly contradicts the evidence on the ground in Libya," Gowdy replied. "She directly contradicts the president of Libya, she directly contradicts the last statement uttered by Ambassador Stevens." 12:30 p.m. – In his retelling of the night of September 11, 2012, Hicks described his first conversation with then-Secretary of State Hillary Clinton. Hicks also described the first time he spoke with the prime minister of Libya. It was during the phone call that Hicks said he first learned that Ambassador Stevens had passed away. "About 3 a.m. I received a call from the prime minister of Libya," Hicks said. "I think it's the saddest phone call I've ever had in my life. He told me that Ambassador Stevens had passed away. I immediately telephoned Washington that news afterwards." 12:21 p.m. – In response to a question about the night, Hicks launched into a lengthy retelling of what happened on the night of September 11, 2012. "The night unfolded in four phases," Hicks sad. "The first phase was the attack on our consulate. This story is well known I think. The consulate was invaded. The Villa C where Ambassador and Sean Smith and Scott Wickland were hiding in the safe area was set on fire. The attackers also went into other buildings. They were unable to enter the Tactical Operations Center in Benghazi because of improvements to that facility that had been made." After that, Hicks said that Scott Strickland, a diplomatic security special agent, attempted to get the ambassador out of the consulate. "Scott attempted to lead the Ambassador and Sean Smith out of the burning building; he managed to make it out, he tried repeatedly to go back in to try to rescue Sean and the ambassador but he had to stop due to exposure to smoke," Hicks said. "The response team from the annex in Benghazi, six individuals, drove the attackers out of our compound and secured it temporarily. There have been estimates as high as 60 attackers in the compound at one particular time." After securing the building temporarily, Hicks said, the security officials attempted to save the ambassador and Sean Smith, a foreign service officer who died in the attack. "There were repeated attempts by all of the RSOs and the response team from the annex to go into the burning building and recover, try to save Sean and the Ambassador. They found Sean's body and pulled it out but he was no longer responsive," Hicks said. "They did not find the ambassador." 12:14 p.m. - In describing the night to the committee, Hicks discussed how he found out about the Benghazi compound coming under attack. Hicks said he received a call from the then-U.S. Ambassador to Libya Chris Stevens while the compound was being stormed. "I found two missed calls on my phone, one from the Ambassador and one from a phone number I didn't recognize," Hicks said. "And I punched the phone number I didn't recognize and I got the Ambassador on the other end and he said, 'Greg, we're under attack'." 12:12 p.m. – One of the whistle-blowers, Gregory Hicks, the deputy Chief of Mission in Libya, said his testimony today, which is expected to contradict the State Department's account on the terrorist attack, is his effort to uphold to Constitution. "In February 1991, I swore an oath to uphold and defend the Constitution of the United States," Hicks said. "I am here today to honor that oath. I look forward to answering your questions fully and truthfully." 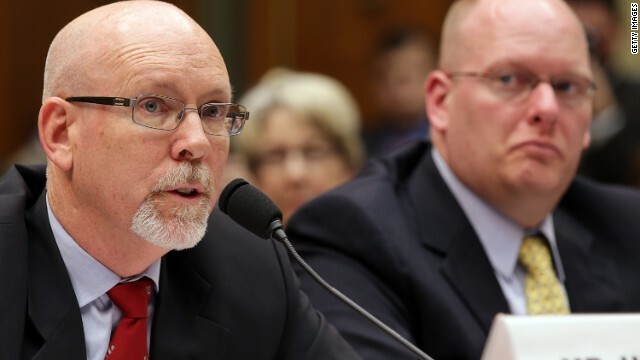 12:09 p.m. – Eric Nordstrom, one of the whistle-blowers, thanked the oversight committee for their continued efforts, "specifically the committee's labors to uncover what happened prior, during and after the attack matter." In what seemed like a response to Hillary Clinton's Senate testimony–in which she said said "what difference, at this point, does it make" over how the violence started–Nordstrom stressed it was important to get to the bottom of the attack. "It matters to me personally, and it matters to my colleagues, to my colleagues at the Department of State," he said, growing emotional. "It matters to the American public for whom we serve. And most importantly, it matters to the friends and family of Ambassador Stevens, Sean Smith, Glen Doherty, Tyrone Woods, who were murdered on September 11, 2012." The Pentagon is pushing back heavily against any claim that four U.S. special forces troops were banned from traveling to Benghazi in response to the attacks because of undue military bureaucracy. The allegation comes from Gregory Hicks, the deputy chief of the U.S. mission at the time, in an April 11 interview with Congress. Hicks was asked by the committee for the rationale of why he was told they couldn’t go. “I guess they just didn't have the right authority from the right level,” Hicks responded. Pentagon spokesman George Little said the U.S. Africa Command operations center in fact told the men to stay in Tripoli, Libya, because the attacks had stopped before the Libyan C-130 they wanted to board had arrived and they were not needed in Benghazi. Instead they were needed to assist with arriving flights carrying the remains of the dead and other personnel in Tripoli and to assist in aiding U.S. personnel evacuated from Benghazi. The men who wanted to go also were not equipped with combat gear and weapons and were not trained as a reaction force for a terrorist attack, Little said. 11:58 a.m. – Republican Rep. Darrell Issa, chair of the investigative committee, and Democrat Rep. Elijah Cummings, the ranking member of the committee have each given their opening statement. "Our goal in this investigation is to get answers because their families deserve answers," Issa said. "They were promised answers at the highest level when their bodies came home. The President was there, the Vice President was there, the Secretary of Defense was there, the Secretary of State was there. We want to make certain those promises are kept on behalf of those individuals." "Our committee has a fundamental obligation to conduct responsible oversight and that includes carefully examining the information that you and others provide but we also have a duty to thoroughly investigate these claims before we make public accusations. In contrast, what we have seen over the past two weeks is a full scale media campaign that is not designed to investigate what happened in a responsible and bipartisan way but rather a launch of unfounded accusations to smear public officials," Cummings said. Obama and his adminstration need to be held accountable for the deaths of these Americans. Through their gross mishandling of the attack, they need to be brought up on criminal charges. To have the means to save these epoeple and turn their backs on them is nothing short of criminal. How people like Sniffitt can continue to support this adminstartion I will never understand. Makes me sad to see people like this how are so easy to brain wash.
Stevens was not SENT to Benghazi - he was SENT to Tripoli. He CHOSE to go to Benghazi even though he knew it was unsafe. This isn't complicated. There was an attack on our embassy and four people are dead. The youtube video had nothing to do with it. The American people were lied to on the eve of on an election for fear of fallout from a terrorist attack because it looks bad for your sitting president and admin. Now we have to go through this dog and pony show to find out what everyone knows and at the end of the day nothing will happen, everyone in Washington will pat themselves on the back, and this whole thing will unfortunately fade... what difference does it make? Hillary, what happens does matter! Just because it happened months ago doesn't make it less relevant, just because it didn't bappen to your family member doesn't make it less relevant! Americans deserve the truth, elections don't matter, the truth does. Why are you so afraid to hear the people that were actually on the ground that day? Your narrative and the State Dept. are second hand narratives of a political agenda that was put in place by a President that preferred to win an election rather than send help and concede that he was failing in LIbia. Explain Rice's BS........who sent her out with the lies? Democrates are the me people that the WE THE PEOPLE have to support and DEFEND. Regarding the minor incident that occurred in Benghazi, it is becoming very clear that the Secret Global Empire, the disguised corporate, financial, militarist, media, legal, and political Global EMPIRE, which had 'captured' and now fully "Occupies" our former country (and other power structures; U.K., Germany, Israel, France, NATO, IMF, Exxon, B of A, Boeing, et al. ), by hiding behind the facade of its 'bought and owned', modernized, and sophisticated, TWO-Party 'Vichy' sham of faux-democratic and totally illegitimate government -- just as surely as the earlier Nazi EMPIRE tried less successfully to hide behind its cruder and first generation, single-party Vichy phony government in 'captured' and Occupied France c. 1940 -- has decided that the time has come to expose and destroy the credibility of both of the Empire's previously smooth-working soft-totalitarian (or "inverted totalitarian") [Sheldon Wolin] Vichy parties, and to move quite quickly now and to devolve into a rougher version of overt totalitarianism. The Empire's probable reasoning in using the Benghazi episode as a catalyst for its disposal of the multi-Vichy party facade of democracy is of no more consequence than its using of the miraculous discovery of the three Cleveland abducted women to cover-up the Israel sector of the Empire's expansion of the Middle East war in bombing Syria - namely, that the episode has the potential to spark and maintain emotional debate among deluded Americans sufficient to distract almost all attention away from the real event being initiated, which in the case of the SGE's Israeli bombing of Syria is to create full scale war in the Middle East and Central Asia, and in the case of the Congressional battle between Republican and Democrat Vichy tag-teams is to tar both parties as being below useless - and thus pave public support for a new unified government that will be more efficient and unified (which the SGE requires to grasp direct control). The particular episode used by the Empire's media sector to accomplish a goal is not important in its own right, but only to engender the necessary public fear, anger, conflict, emotion, and disguust (in the case of both parties, Congress, and the Presidential administration fighting over Benghazi to accomplish the SGE's goal). The issue has been investigated to death. There was an attack on our embassay and an otherwise popular diplomat, Chris Stevens along with three others was killed. There was a full review with numerous deficiencies identified in the procedures for dealing with Diplomatic Missions in unstable areas. The Secretary of State; Clinton, accepted responsibility for the tragedy and accepted the reccomendations which are being implemented. What the Right Wing Nuts want is for there to be more to the story than there is. It is also interesting that we are still not sure who did this. It could have been rouge terrorists with a local set of issues, it could have been Al quida affiliates it is still unclear. It is also a FACT that there were widespread protests in the middle east at that time because of some incendiary video that was cirulated in the area and Lybia was one place where there were such protests. So it is not far fetched to think that there were some radical Isalmists like the Boston brothers who were triggered by the events of the weekend including the video. I am pretty sick of these Right wing Nuts in so many ways and particularly when they WASTE TAXPAYER MONEY LOOKING FOR SOMETHING THAT THEY KNOW IS NOT THERE. I guess it is like the weapons of Mass Destruction; it is hard to accept the real world facts when they don't line up with their crack pot political views!!! Shame on CNN for not calling this out!! When will someone at CNN just say what this is? Wolf Blitzer and the gang report this story as if it has a real fact pattern instead on inuendo and conjecture without ever saying "It is innuendo and conjecture with no evidence thus far!!! CNN Foreign Affairs Reporter Elise Labott: reports Philippe Reines, senior adviser and spokesman for Hillary Clinton, responded to Jordan's questioning in a statement to CNN. Did Elise Labott follow up with a question to Mr. Reines as to his participation in the phone conversation Cheryl Mills had with Greg Hicks? If he was not a part of the conversation then his statement to CNN is here say - the conversation was between Greg Hicks and Cheryl Mills. Throughout the hearing Greg Hicks corrected lawmakers so that the truth from his perspective would be accurately communicated. He would have corrected Congressman Jordan if a correction was warranted.